Jim Brown and Sons is proud to offer hail storm recovery services to the city of Safford, AZ. The town of Safford, AZ experienced a hail storm on October 8th, delivering hail measuring between 1 and 2.5 inches in diameter. 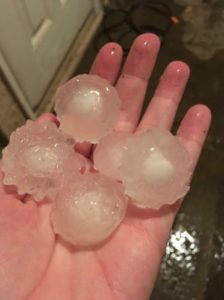 The damage rendered by this unusual storm was devastating to homeowners, leaving major roof damage along with vehicle and other property damage. Jim Brown and Sons Roofing, the leading roofing contractor in Phoenix, have sent our team of roofing experts out to the area to assess the damage and have deployed our crews to assist in helping homeowner’s in need of assistance with roof damage caused by the storm. Jim Brown and Sons has provided Phoenix and the great state of AZ with commercial and residential roofing services for over 30 years. We understand the investment our customers are making in their properties and strive to install the best roofing systems in the state. Receiving a workmanship warranty from a company that has been around for over 30 years is the greatest reassurance to a customer. It gives them peace of mind that we will still be here down the road to honor our commitment to them. Unlike most other roofing companies, a workmanship warranty from JBS Roofing is 100% transferable with no fee if the property transfers ownership. This is an added value to your home and one of the many things that set us apart from our competitors. • JBS Roofing was built upon a solid foundation of integrity, expertise and an extreme passion for what we do. • We hope to surpass our customer expectations in all that we do, and in doing so, build long lasting relationships. • We strive to exceed what is considered industry standard craftsmanship by ensuring our entire team consists of highly qualified experts. • We provide a work environment where our our employees can meet their full potential through ongoing education, training and certification. This allows them to thrive in a supportive atmosphere and be recognized as a valued contributor to our company’s success. 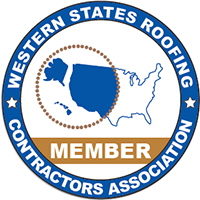 • We focus on safety and educational issues contributing to the advancement of the roofing industry and also to the betterment of our communities and the local economy.